Serving Boulder County and the surrounding area. If you love the look and sound of your old clock, whether it be a family heirloom Grandfather Clock, or an antique you picked up in a flea market, it does need service from time to time. Any clock that runs steadily should be oiled by a professional every four to five years. There are many reasons that a clock stops, whether it be a Cuckoo Clock, Mantle, or Anniversary Clock. In most cases the clock needs to be thoroughly cleaned. To properly clean a clock, it needs to be totally disassembled and each part cleaned ultrasonically. 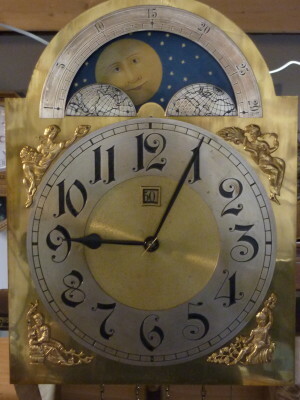 After the clock is completely cleaned, it is reassembled, oiled and adjusted. 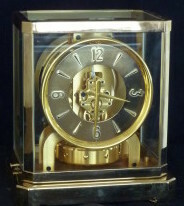 A thorough cleaning of your clock will leave it properly running for years especially if it is oiled every few years. When Your Clock Needs More Attention. Just like any mechanism, clock parts do wear out. After many years of use pivot holes become unevenly worn so that the gears do not mesh properly. Springs need to be replaced. Levers, arms, gears, and pins become scored and need attention. In short a clock will not run forever without something wearing out. 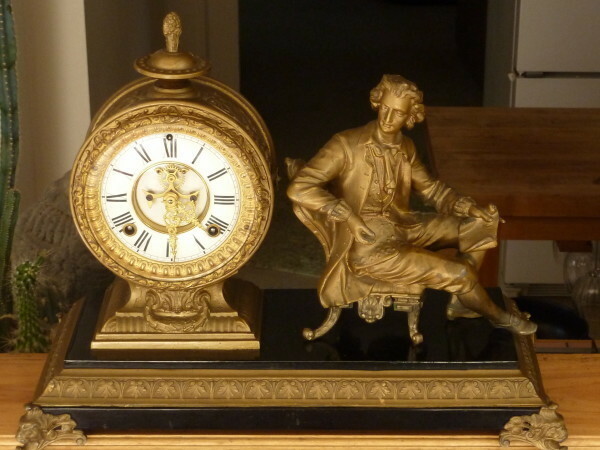 Oiling will prolong the longevity of a clock, but eventually parts will need to be replaced or repaired. So many clocks, so little time.